After defeating Owen Shaw and his crew and securing their amnesties, Dominic Toretto (Diesel), Brian O'Conner (Walker), and the rest of the crew are able to return to the United States and live normal lives again. 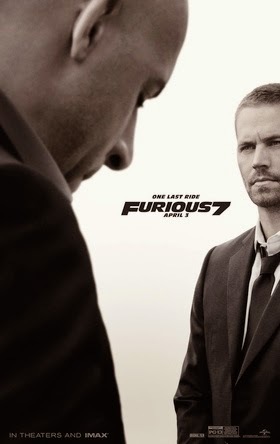 Brian begins to accustom himself to life as a father, while Dom tries to help Letty (Rodriguez) regain her memories by taking her back to Race Wars, however after an altercation with Hector, the race organizer and an old friend of theirs, she leaves. Dom later finds her at her graveyard in the cemetery, believing that she can no longer regain her memories. As Dom prepares to destroy the gravestone, Letty stops him, insisting that the "old Letty" died when she lost her memories, and that she was subsequently "born". As a reluctant Dom pulls away, Letty drives off and disappears, leaving Dom alone. Meanwhile, Owen's older brother, Deckard Shaw (Statham), breaks into the secure hospital the comatose Owen is being held in and swears vengeance against Dom. Shaw breaks into Luke Hobbs' (Johnson) DSS office to extract profiles of Dom's crew. After revealing his identity, Shaw engages Hobbs in a fight, and escapes when he detonates a bomb that sends Hobbs and his partner, Elena Neves, flying from the building and onto the roof of a car. Severely injured, Hobbs is rushed to the hospital by Elena, who has escaped injury. Meanwhile, Dom learns from his sister Mia (Brewster) that she is pregnant again and convinces her to tell Brian about it, despite her objections. However, a bomb, disguised in a package sent from Tokyo, explodes and destroys the Toretto house just seconds after Han, one of their crew, is killed by Shaw in Tokyo. Dom later visits Hobbs in hospital, where he learns that Shaw is a rogue special forces assassin seeking to avenge his brother. Dom then travels to Tokyo to claim Han's body, where he meets Sean Boswell, a friend of Han's, who gives him personal items found at Han's crash, among them a cross necklace that Dom had attempted to find for Letty. Back at Han's funeral in Los Angeles, where crew members Roman Pearce (Gibson) and Tej Parker (Bridges) watch on, Roman vows that he doesn't want to go to any more funerals, and Brian remarks that there is still one more of importance – Shaw's. Suddenly, Dom notices a car observing and chases after the vehicle, driven by Shaw. After a head-on collision in a game of chicken, both prepare to fight but Shaw slips away when a covert ops team arrives, led by Frank Petty (Russell). Petty informs Dom that he will assist him in stopping Shaw if he helps him prevent a mercenary named Jakande from obtaining God's Eye, a computer program that can use digital devices to track a specific person, and save its creator, a hacker named Ramsey, from Jakande's men. Dom recruits Brian, Letty, Roman and Tej to help him. However, Brian makes a promise to Mia that after Shaw is dealt with, he will dedicate himself to raising their son full-time. To rescue Ramsey, the team airdrops their cars over the Caucasus Mountains, ambushes Jakande's convoy and rescues Ramsey. They then head to Abu Dhabi, where a billionaire has acquired the flash drive containing God's Eye. At the Etihad Towers, the team breaks into his penthouse and manages to steal the flash drive. On both occasions, the team is pursued by Shaw, who engages in combat with Dom, and the team barely manages to escape alive. Furiously fast paced, kept me on my toes and clenching my jaw throughout the movie! The movie was action packed with many wow factor stunts! James Wan did a good job keeping the movie up to it's expectation and yet sticking to the value of this movie franchise. So entertaining with the right amount of tenderness. Those CGIs were so sick and realistic especially the super Lycan car stunt! Jaw dropping awesomeness! Totally worth every penny watching it in the cinema with the great sound effects! Of course, and those beautiful babes... I meant the cars ya ;-) Can't wait for Fast & Furious 8 now as announced by Vin Diesel recently.